Lead older adults in creative drama activities. 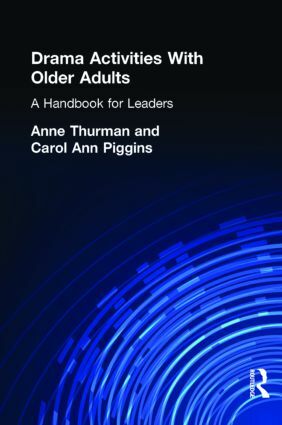 This practical handbook provides step-by-step instructions for conducting over 50 introductory activities to stimulate the senses, awaken the imagination, activate body movement, encourage interaction, and stimulate verbal communication with the elderly. Written primarily for activity, recreation, and program directors of community/day care centers and in retirement homes who have some interest in drama but no formal training, Drama Activities With Older Adults features a wide array of group work skills. A number of complete model session plans are included which feature objectives, lists of materials needed, procedures for setting up the dramatic situation, and methods for evaluation.